Top Gun (1986) takes on its “ultimate knockoff” Iron Eagle (1986)! Copycats is a bimonthly column about popular action movies and the low-budget films they inspire. Each column, we take a popular action movie and find its cinematic doppelganger, revel in their similarities and dissect their differences. Some of these copycats are good enough (or strange enough) to earn their place in action movie history, but most are being chronicled here to preserve their existence – for better or for worse. Original Film: Top Gun, 1986, starring Tom Cruise and Val Kilmer, directed by Tony Scott. (Alleged) Copycat: Iron Eagle, 1986, starring Louis Gossett Jr. and Jason Gedrick, directed by Sidney J. Furie. Synopsis of both films: Young military pilots go on a dangerous mission – impressing their instructors (and the ladies) along the way. This is usually the part where I discuss both films, weigh the merits of each production, compare similarities/point out differences and so on. And, had I not realized something shocking during my research, I’d be doing that right – and it would be so much fun. I mean look at them. Top Gun is one of the biggest ‘80s movies on the planet – inspiring tons of imitators, spoofed by in movies like Hot Shots, and referenced in television shows like It’s Always Sunny in Philadelphia. 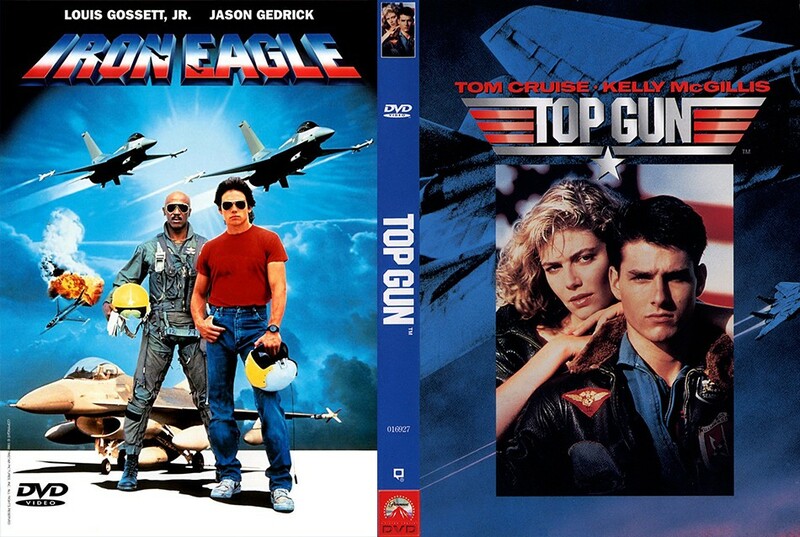 Obviously, Iron Eagle was taking advantage of Top Gun’s popularity, like so many other copycats. Look at Iron Eagle – a high school kid somehow gets a fighter jet so he can save his father? What? That’s crazy. However, even though there are tons of online reviews eluding to Iron Eagle being a “Top Gun rip-off”, Iron Eagle came out first. Wait, what? I thought Iron Eagle was the copycat. How could I have missed that? I saw both movies in the theater when they came out, but even I remember seeing Top Gun first. This is possibly due to the massive marketing campaign behind the movie. Even though Top Gun wasn’t coming out until May 1986, even major reviews of Iron Eagle mentioned it. It could also be the Mandela Effect (a collective false memory – like Sinbad starring in a movie called Shazam or Will Smith saying “Welcome to Earf” in Independence Day. No matter what it was, it made me question if either one of these was a copycat movie, and if a copycat movie could come out before the movie it’s copying. While Iron Eagle has some enjoyable moments, it pales in comparison to massive production of Top Gun. Now, that’s not to say Top Gun is still great movie. It’s so over the top that becomes laughable. For every great dogfight scene, there are two or three scenes that are just terrible (the volleyball scene, the barroom singing scene, and quotes like “Take me to bed or lose me forever” and “You can be my wingman anytime”). The soundtracks to both films were released, with Iron Eagle peaking at 54 on the Billboard chart. Top Gun peaked at the #1 position, and has been certified 9x Platinum (nine million) in the U.S. (at least 12 million worldwide), so you could say it did a little better. And while there were three Iron Eagle sequels, there has never been a sequel to Top Gun … until now. Paramount Studios is working on Top Gun: Maverick, scheduled for release in June 2020.
Who do you think wins in this COPYCATS! 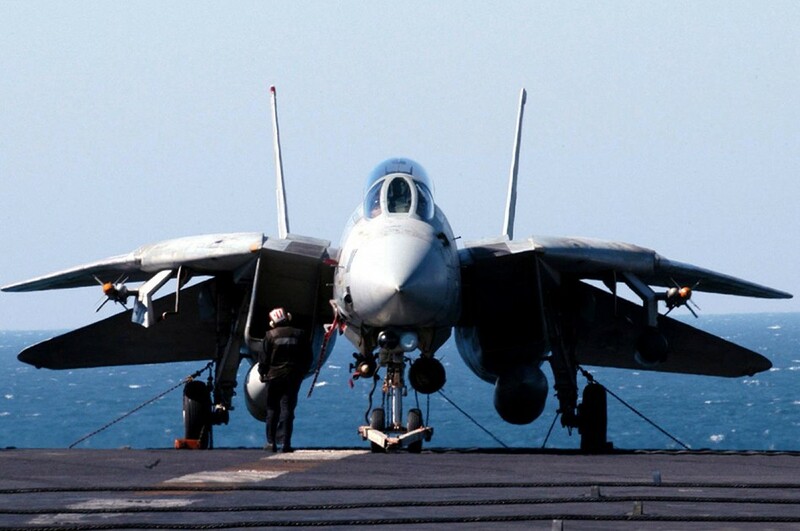 showdown between Top Gun or Iron Eagle? Let us know in the comments or on our Facebook page!